Ease your transition into university life by beginning your studies in Science One, a cohort-based program of 75 hardworking, enthusiastic students and nine dedicated professors at UBC’s Vancouver campus. As part of the Science One cohort, you’ll attend all of your classes in the same classroom with the same group of students. Rather than racing across campus from class to class, you can spend more downtime getting to know your peers and getting acquainted with the campus on your own terms. You’ll get off to a strong start by satisfying all of your first-year science requirements while participating in field trips, research projects, teamwork, and building your UBC community. Science One was founded on the idea of giving first-year students an advantage by giving them access to the best teachers and researchers. In addition to building strong peer connections in the UBC science community, you’ll get to know your professors better than in mainstream science classes – and they’ll know who you are too. Science One students receive strong reference letters from their professors for future studies, co-ops, and job placements. Science One integrates first-year mathematics, chemistry, physics, and biology into one class taught at the honours level. By studying these concepts as an integrated whole, you’ll develop a strong foundation as an interdisciplinary scientist with skills that extend beyond any one subject. Field trips will round out your studies with real world experiences, and term research projects will give you genuine research experience – all before completing your first year of university. Take all of your courses in the same classroom – no racing around campus! 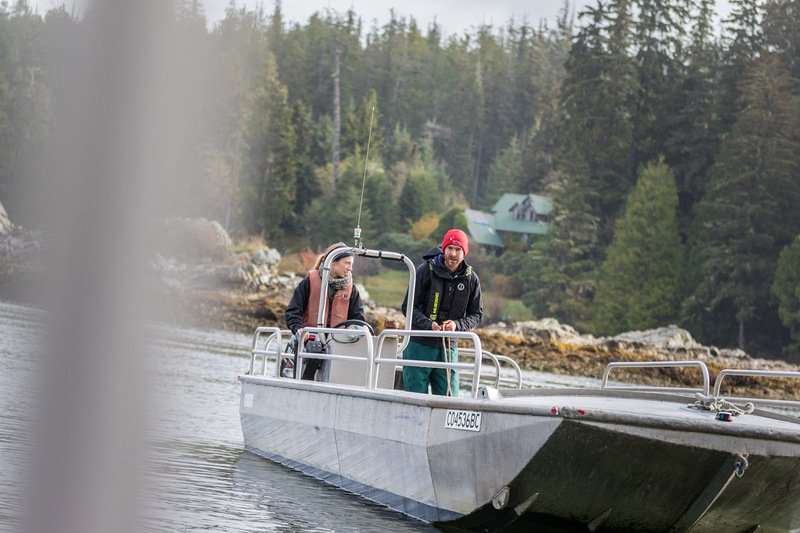 Go on a field trip to the Bamfield Marine Sciences Centre. Enjoy a dedicated Science One learning and social space in the Irving K. Barber Learning Centre. Benefit from the 9:1 student-to-teacher ratio. Network with a variety of scientists and innovators through the Science One lecture series. What do Science One alumni do? With a 25-year history, the Science One program has a far-reaching network of alumni. Students have used the program as a launchpad to propel themselves into illustrious careers with big brands such as Apple and Amazon, and into further studies at Cambridge Law, UBC Medicine, MIT, and more. Does this sound like an incredible first year of university? Apply now to Science One.